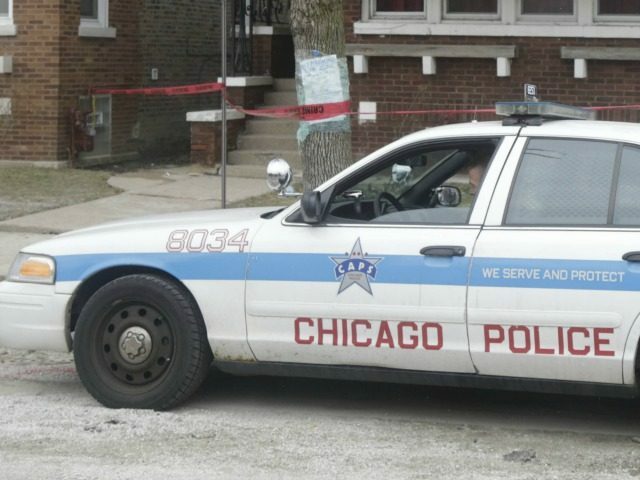 Violence raged in gun-controlled Chicago over the Thanksgiving holiday weekend, with 62 people shot and wounded, another eight people shot and killed. This is an exponential jump over the level of violence seen during during the Thanksgiving holidays of the previous two years. In 2014 there were five deaths, with 14 others shot and wounded and in 2015 there were eight deaths with 20 others wounded. But in 2016 there were eight killed with 62 others shot and wounded. According to the Chicago Tribune, the Thanksgiving holiday weekend violence brings Chicago to nearly 4,000 shooting victims for the year. That figure includes fatal and non-fatal shootings. The number of fatal shootings alone is 710; a figure which is even more startling when you consider that there were 492 homicides for the whole of 2015. There have 710 homicides through the first 11 months of 2016. Chicago has long been a gun control experiment gone awry. The city enacted a ban on handgun ownership in 1982 and the Tribune reported that the next 10 years witnessed “murders [jump] by 41 percent, compared with an 18 percent rise in the entire United States.” And this jump made sense. After all, when bans are enacted only the criminals remain armed. The ban was overturned in 2010 via the Supreme Court ruling in McDonald v Chicago, but city leaders have worked diligently to preserve the vestiges of the ban at every turn in road. And municipal and county limits on the number of gun stores allowed in Chicago, together with rules on the locations of those stores and a ridiculous amount of regulation on acquiring and carrying guns for self-defense, have coalesced to guarantee that criminals maintain an advantage similar to what they enjoyed when the ban was in place. The latest proposed requirement for Chicago is to mandate serial numbers be placed on all bullets and bullet casings. This is being pushed by state representative Sonya Harper (D-6th) as way to combat crime. In the real world such a requirement will not do anything to stop crime, but it will drive up the cost of ammunition, thereby making it even more difficult for law-abiding citizens to acquire the tools they need to defend themselves and their families.